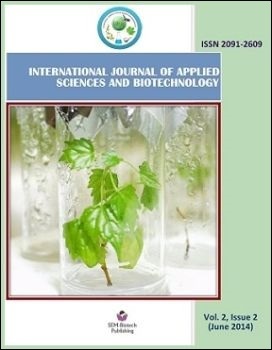 The present work aimed to apply mutagenesis and inter-specific protoplast fusion techniques of two locally isolated Hypocrea and Trichoderma to enhancement their biocontrol abilities against some important plant fungal pathogens which cause damping-off diseases that attacking different crops. The mutants were selected after EMS/UV treatment of Trichoderma isolates. The obtained protoplasts were fused by polyethylene glycol, and six fusants were selected for further studies. The phylogeny of the parental strains was carried out using sequence of ITS region. The BLAST of the obtained sequence was identified these isolates as H. koningii and T. asperellum. The fused protoplasts of the two mutant strains have been regenerated on PDA medium supplemented with the two fungicides. Most of the fusants exhibited fast mycelial growth on PDA as compared to parent strains. The obtained results indicated that partial or incomplete genetic recombination may be possible during nuclear and cytoplasmic protoplast fusion. Most of the fusants have shown powerful antagonistic activity against the grapevine pathogens as Pythium ultimum and Fusarium roseum as shown in dual culture and observed by SEM technique. Results of the present study demonstrated the scope and significance of the protoplast fusion technique, which can be used to develop superior hybrid strains of filamentous fungi that absent sexual stages in Trichoderma enhance biological control activity.